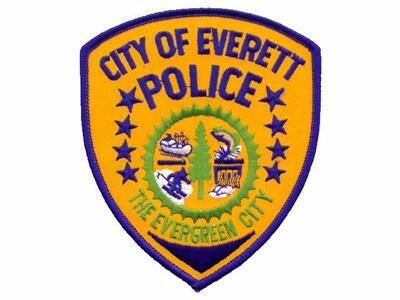 EVERETT - Arrest made after detectives investigate the death of a male in Everett. On September 9th, officers responded to reports of a deceased male found in the hallway of the Commerce Building (1803 Hewitt Ave). During the initial investigation, the cause of death could not be established but detectives interviewed the occupants of an apartment where it was believed the deceased male had been. Once the Snohomish County Medical Examiner’s Office ruled the death a homicide, detectives determined an assault occurred during which the deceased victim, identified as 52 year-old Charles P. Hatem of Everett, was struck multiple times before being dragged into the hallway where he died. Based on information gathered during the investigation, a 40 year-old Lynden man was arrested yesterday and booked into the Snohomish County Jail on probable cause for manslaughter (RCW 9A.32.060) charges. EVERETT - Detectives with the Major Crimes Unit are investigating the death of a male in Everett. At about 5:00 am this morning, officers were dispatched to the Commerce Building (1803 Hewitt Ave) when a body was reported in a hallway. Arriving officers found the body of an adult male and contained the scene. Detectives with the Major Crimes Unit are investigating the incident and are interviewing several people. The Snohomish County Medical Examiner’s Office will take custody of the body to determine cause and manner of death and will provide identity once family has been notified. It is unknown how the male died.